Summary: Want to retain your most talented staff and attract highly qualified people to your company? Make sure you help your employees find a good work-life balance. Clearly, finding a balance between one’s work and personal life is important to workers today for a myriad of reasons. Whether they are new parents, students, caretakers for elder relatives or have simply reached a point in their lives where they are financially stable and want more leisure time, today’s employees demand greater flexibility from employers than ever before. Why should employers concern themselves with this issue? A willingness to work with employees in developing solutions for work-life challenges demonstrates their value and importance to the organization and can often mean the difference between retaining and losing talented staff. A Gallup Poll found that 90% of employees say work-life benefits are as important to them as health insurance. 60% of employees surveyed in a Work/Family Directions Study said the key reason they accepted their current position was its effect on their personal/family life. According to the Bureau of Labor Statistics, mothers of preschool children represent the fastest growing segment of the workforce. 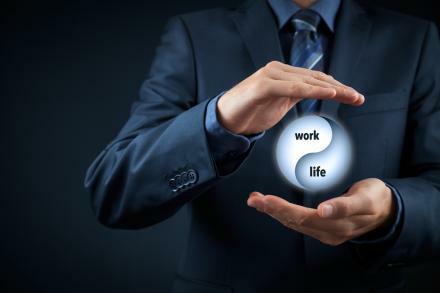 One study found that people who feel their work-life balance has improved over the last five years report a higher level of job satisfaction, increased employee loyalty and a higher level of trust in their employers than those who feel it is worse. All of these items impact employee retention, a critical issue in today’s labor market. Companies that want to attract and retain the best talent are increasingly recognizing that it is a good business decision to help employees find the balance they seek. How can employers address this issue? Open communication between managers and employees about the company’s business priorities and the employee’s personal priorities are key. The next step is to work together to ensure both sets of priorities are met and to be open to experimentation in how employees get their jobs done. 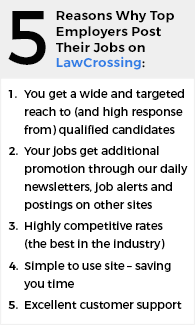 Following are a few options (some relatively new) that employers are offering today. Not all will be appropriate for every organization, and each situation needs to be evaluated independently. Flexible scheduling allowing workers to vary the times they begin and end their day often makes a critical difference to people with outside obligations, such as those who must take or pick up a child from school. It is clearly on the rise, with the percent of workers on flexible schedules nearly doubling in six years, according to the Bureau of Labor Statistics. In a one study, about 28% of full-time wage and salary workers had flexible work schedules. Sometimes great employees with a proven track record need to scale back their hours due to personal reasons. In addition to simply reducing hours when possible, job sharing is another option. This occurs when two people work as a team, each on a part-time basis, to fulfill the work usually handled by one full-time employee. Allowing employees to telecommute or work from home is possible for a number of jobs that require predominantly phone and/or computer work. Many employers today are experimenting with this option by allowing employees with special circumstances to telecommute on a full-time basis or a few days a week, depending on the nature of their positions. Other companies allow employees to work from home on a short-term basis, such as when they are recuperating from an illness that prevents them from coming into the office. In addition to these options, many employers find providing on-site concierge services like daycare, dry-cleaning, work-out facilities, travel planning and car washing services help people balance their lives by reducing the responsibilities they must attend to after hours. While some of these services are cost-prohibitive for small and mid-sized companies, others are easy to set up with a local vendor, and all contribute to the overall impression that you, the employer, care about your employees and helping them improve their work-life balance. Read the following article to learn more about helping employees find work-life balance: Helping Young Professionals Find Work-Life Balance.